Like its name suggests, MEWAH Parboiled Rice are grains that have been partially boiled in the husk. This leaves you with superior quality rice that contains high levels of protein and way more fibre than white rice, plus is low in glycaemic index. 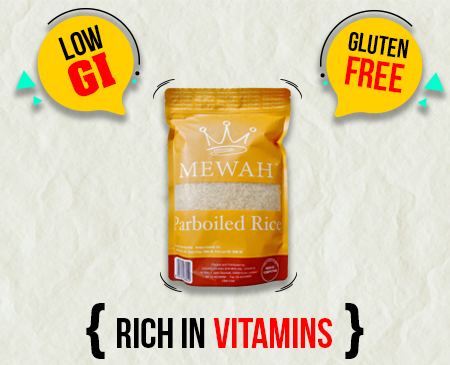 MEWAH Parboiled Rice is highly recommended for preventing chronic diseases such as diabetes and obesity. We've also sourced our Parboiled Rice from only best areas where its famously cultivated.